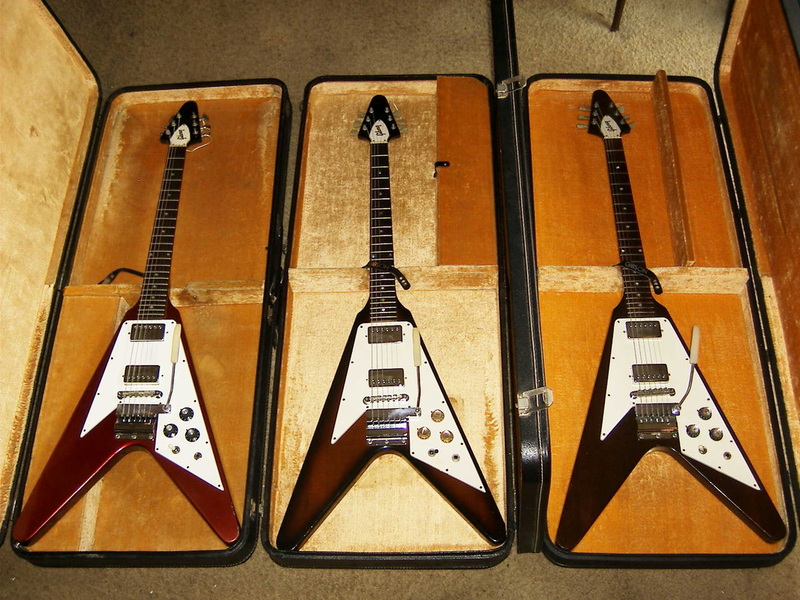 Gibson first manufactured prototypes of the Flying V in 1957, under the direction of Gibson president Ted McCarty. America was entering the race for space during this era. To achieve an aero-dynamic look cars were equipped with fins. Gibson set it’s sites on 3 futuristic guitar designs. We will discuss the most popular which is the Flying V. The original prototype had a rounded bottom. It was made of mahogany and was a very heavy instrument. McCarty ordered that a large wedge be cut be made in the bottom end of the guitar’s body to alleviate some of the weight. This cut gave the guitar it’s Flying V appearance and it’s name. Because blond colored furniture (and blond women) were all the rage during this era, light colored Korina wood was used instead of mahogany. 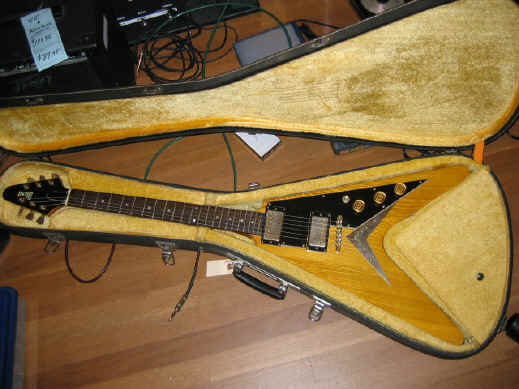 The guitar was introduced in 1958 along with the Moderne and the Futura (aka The Explorer). It was a dismal failure. The design was too much for the guitarists that wanted their guitars to look…well,like guitars. Due to slow sales, only 98 guitars, production only continued until 1959. Some left over units were sold up through 1963. Lonnie McIntosh was a country boy living in Indiana. At 13 years of age he had a quarrel with a teacher and was promptly dismissed from school. All Lonnie wanted to do was play guitar. He hung out at a store in Norwood, Ohio, called Hughes Music. Norwood is mid-sized blue-collar town just outside of Cincinnati and used to be home to a GM plant. The owner Glen Hughes would talk to Lonnie and knew Lonnie was interested in shooting the bow and arrow. Mr. Hughes pulled out the latest Gibson catalogue that he had received and showed Lonnie the new arrow shaped guitar. Lonnie was in awe and he had to have that guitar. Hughes put in an order to Gibson and drove all the way from Cincinnati to Kalamazoo to pick it up. Lonnie got one with the serial numbers 007. The story goes on that Lonnie wanted a vibrato put on his V, but due to the design there was no place to mount the unit. In the late 1950's the best vibrato units were the ones made by Bigsby. So Glen Hughes took a stainless steel bar cut and bent so part of the unit was mounted on the guitars body and the end of the unit was attached to the crossbar that ran between the sides of the V.
Most guys I know that are named McIntosh wind up being nicknamed Mack and Lonnie McIntosh soon became known in the area as Lonnie Mack. 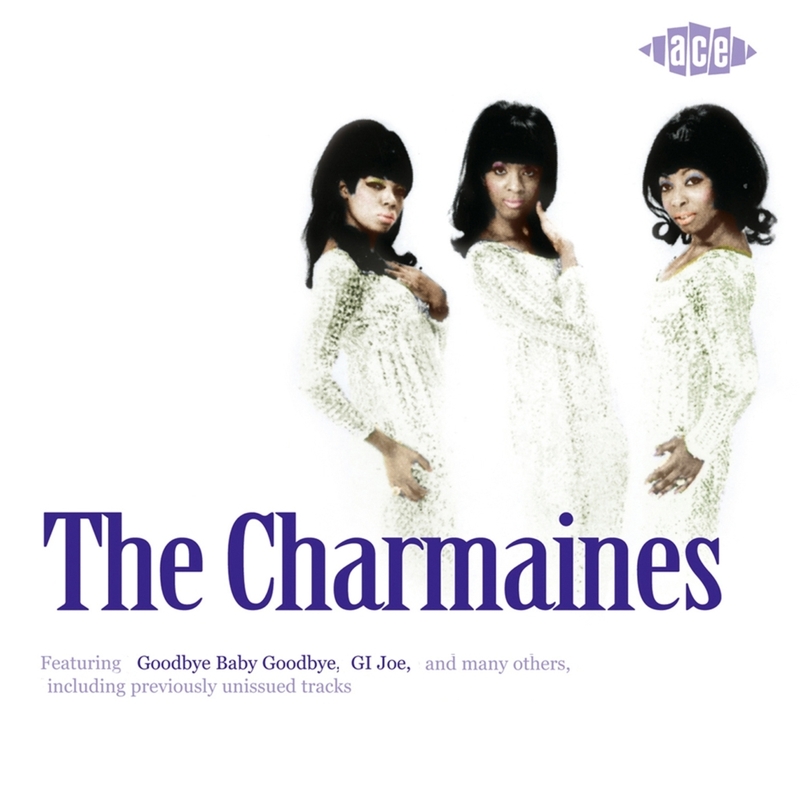 On March 12, 1963, Mack had played guitar on a recording session for a girls group called The Charmaines at Fraternity’s recording studio, which was also in Cincinnati. The allotted studio rental time had twenty minutes remaining, the group invited Mack to take advantage of their leftover time. 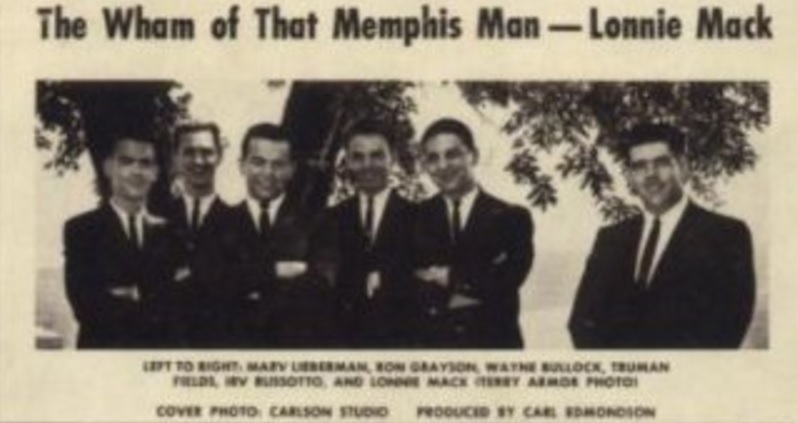 Lonnie and the other session players put down two songs on tape that evening and one of them was a rocking, uptempo guitar version of the Chuck Berry song called Memphis Tennessee. At that time Mack's job was performing behind another Fraternity artist named Troy Seals. 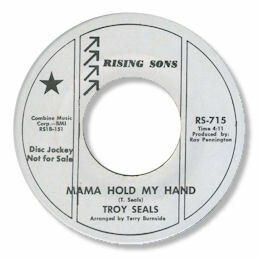 Seal went on to become a well known Nashville song writer. Mack was busy playing gigs at local clubs and had forgotten about the session, however someone at Fraternity did not. They liked it well enough to issue it as a single. Seals had just heard from a friend that Lonnie’s song was climbing the charts. By the summer of 1963 Memphis charted in at number 4. His unique guitar sound caught the attention of guitar players all over the world. Mack released a follow up called Wham, that became one of his signature tunes. Wham reached number 24 on the Billboard charts. 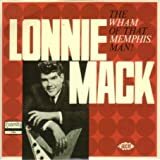 Lonnie followed up with an LP called The Wham of that Memphis Man. 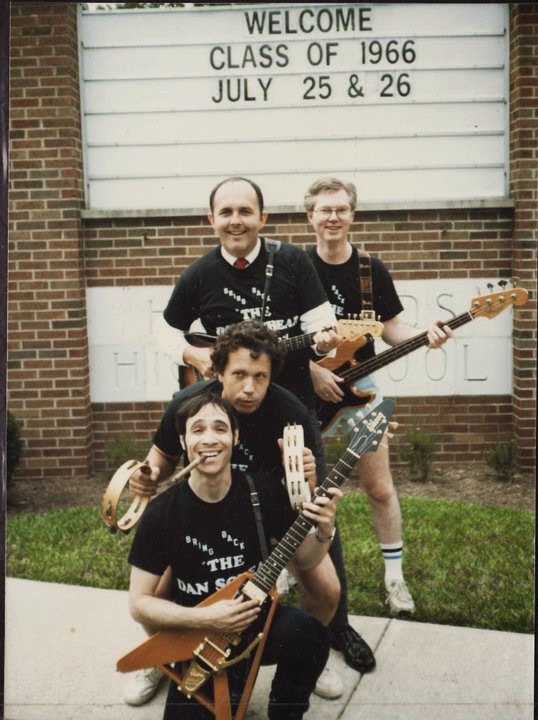 The album cover shows Lonnie leaning on the bottom of his upside down Flying V. The photo was before the Bigsby unit was installed. Mack also was fond of his Magnatone amplifier. Just about everyone else was using Fender amplifiers, but Mack loved the True Vibrato effect of the Magnatone. This was enginerred using circuitry similar to what was found on electronic organs that caused the pitch to continuosly alter. Fender’s vibrato was actually tremolo since it caused the sound to be turned off and on. Mack states that he was going after the Hammond organ sound that was previlant in Gospel and Blues. 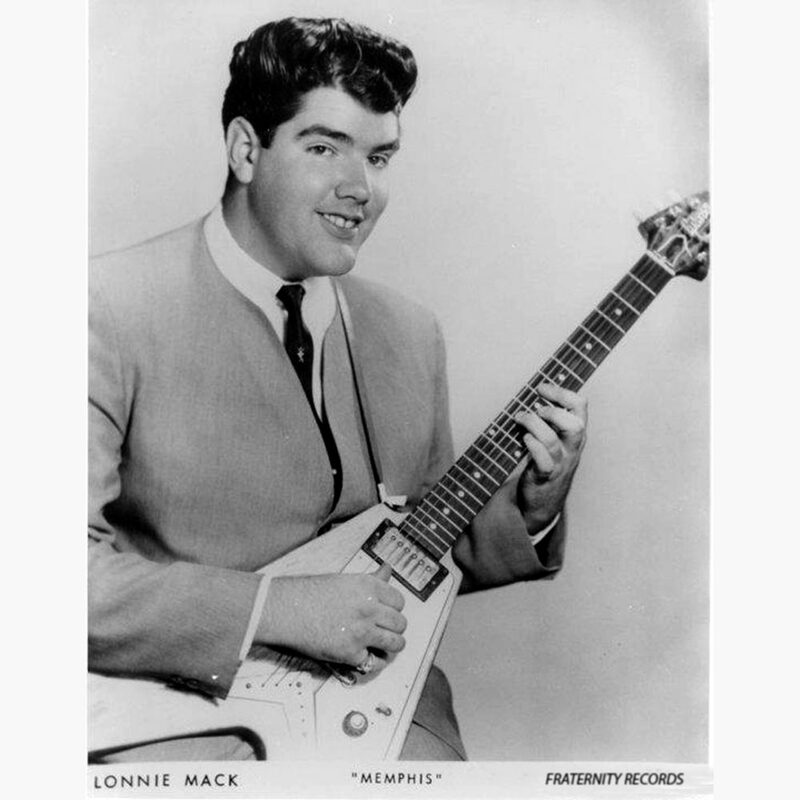 I know a good source that saw Lonnie Mack back in the mid 1960’s playing at local clubs. 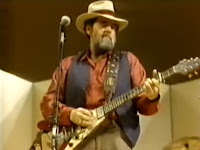 Lonnie Mack originally used a Magnatone 260 to get his signature sound. This amp had the true FM (frequency modulation) vibrato, but no reverb. Lonnie needed a louder amp, so he later ran his Flying V into an old blonde Fender Reverb Unit then into the Magnatone amplifier into a Magnatone M-9 that was modified by a fellow named Gene Lawson. Lawson removed the speaker and put in a step down preamp. 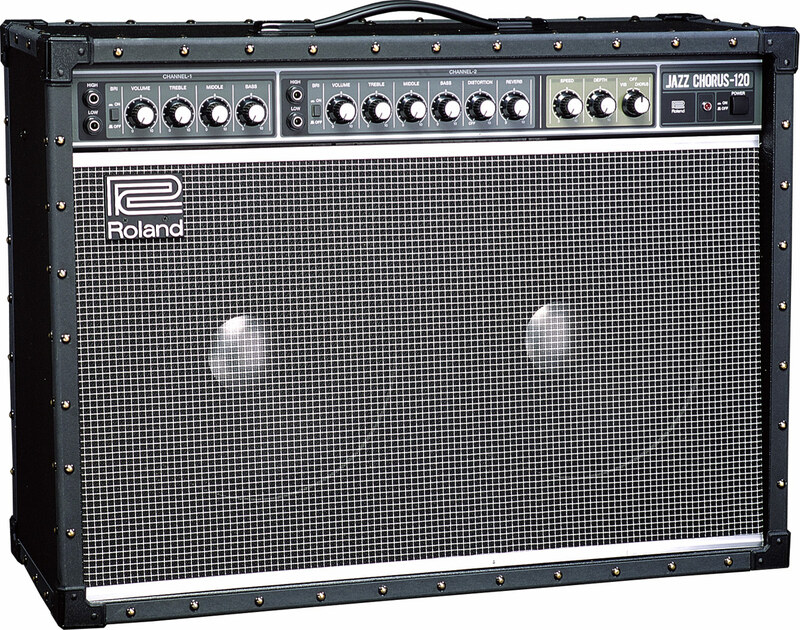 The signal from the Magnatone amp was sent to the input of an old blonde Fender Bandmaster amplifier, that powered two 12’ Fender speaker housed in a separate, matching speaker cabinet. This is how Lonnie got his sound during his early recordings and at clubs. Mack attempted to paint his Flying V red, which wound up with a pink hue after it dried out. He has also dropped it out of the rear end of his van while driving and the guitar remained in tune. After a bad show, Lonnie got mad and threw the V in a trash can. A fan fished it out and returned it to him five minutes later. The worth of this guitar is probably six figures. Mack says that he has played the heck out his Flying V. He says back of the neck is scarred up. The guitar has been re-fretted and new pickups were installed back in the late 1960’s. There are couple of interesting facts that have resulted from Mack’s career in the mid 1960’s. First of all Memphis was the highest rating guitar song. Much of its popularity is due to the popularity of the electric guitar at that time. This was a song that you could sit down with your record player and copy Lonnie’s part note by note. It was easy if you slowed the speed down from 33 1/3 to 16, which made the song play almost half as slow and about an octave lower. Guitarists from all over the world learned to play guitar by listening to Lonnie. The second thing that happened was a name was born. The guitar vibrato was known as the vibrato or the tremolo bar. But after Lonnie released Wham it became The Whammy Bar. 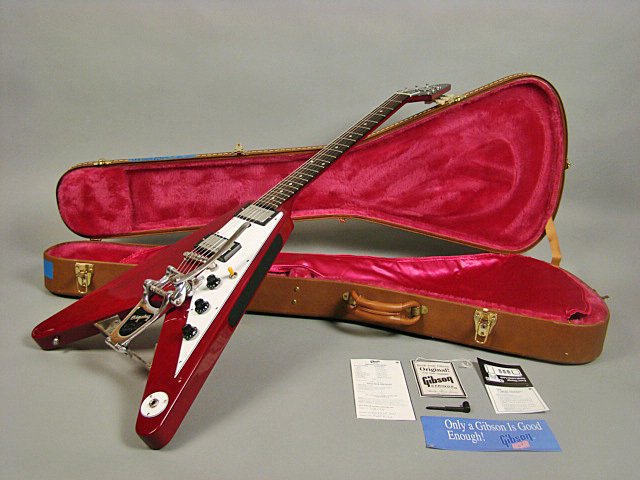 The interest in Lonnie Mack continued and around 1967 Gibson figured the time was ripe to introduce a new version of the Flying V.
The body on this model was mahogany, the pickguard was of a different shape and the tone and volume knobs were not placed in a row as on the original. Gone also was the distinctive gold plated V plate behind the bridge wear the string fed through to the guitars back. It was replaced by a slightly different bridge and a Gibson Maestro vibrola with a short bar. Gone were the gold plated bridge and tuners. These were replaced with polished nickel Klusons. 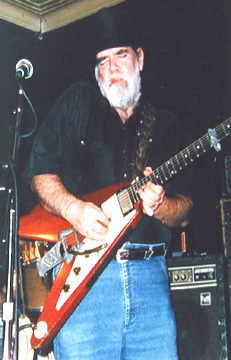 In 1994 Gibson created a limited issue Lonnie Mack version. There were only 185 guitars produced. Some were autographed by Lonnie. Lonnie was touring up until recently when he decided to retire. He retired his old Magnatone amp years ago and replaced it with a much more powerful Roland JC 120 which is equipped with a stereo chorus effect between its twin speakers. But he was still playing his Flying V.
Nice post about the incredible Lonnie Mack. 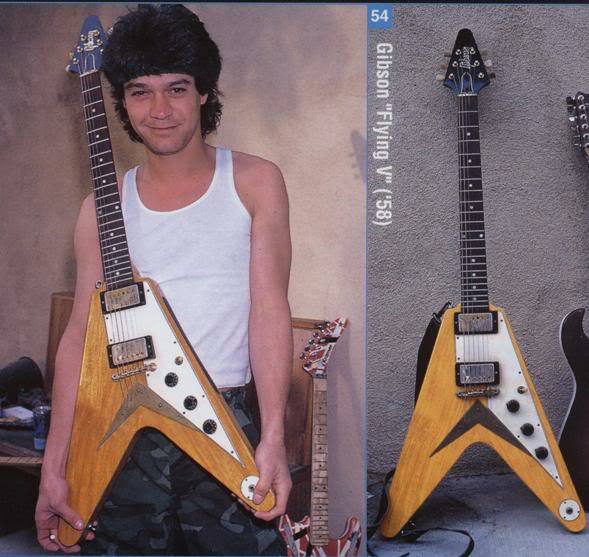 I'm a huge fan and the proud owner of one of his signature Gibson Flying V's. Great story. Just sent you an email. I worked at Hughes Music back in the 60's, and have a '52 Les Paul Goldtop that Lonnie traded in there around 1968 which I immediately bought. He supposedly played it when he was a studio musician in LA on one of the Doors albums. Lonnie is a legend. The original blues rocker! The first photo in this article is one that I took personally of Lonnie in 1993 at Sullys in Dearborn, Michigan. Met Lonnie In Ashland Wisconsin back in 1963 after had his v painted fluorescent pink, the color was blinding if around fluorescent lights. it gave it a mean look that matched the sound he gets with the whammy bar he called a "whiskey stick"